We are a full service litigation firm and have over a 100 years of combined experience of fighting cases for our clients. Here is a Free Guide for you to help you navigate your case. Situated in Chino Hills, Steven J. Brown Attorney At Law provides help and assistance to their clients throughout the Inland Empire, Los Angeles and Orange County areas. Steven J Brown specializes in helping injured accident victims with personal injury law and delicate issues of separation, divorce, and child custody, all with compassion in family law arena. With more than 100 years of combined legal experience, Steven J Brown and his associates take pride in delivering personal and meticulous service and empowering you and your loved ones with legal information and representation that is unmatched. This approach has allowed Attorney Steven J. Brown to obtain millions of dollars in verdicts and settlements for his clients in Los Angeles County, Riverside County, San Bernardino County and Orange County. With us your first 20 minutes on call are free Initial Consultation. We will try to explain the Court Process in detail and what possible defenses you have in your case. 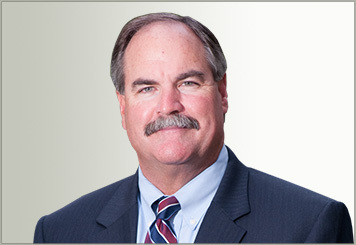 Steve Brown is experienced in all matters of family law and personal injury. A devoted family man, Steve knows firsthand how precious children are in relationships. His sincere desire is to help the family as a whole, and he emotionally invests himself in the well-being of every client he represents. Steven makes it his mission to personally work diligently on your case to insure the best possible results for the circumstances presented. He assists his clients in reviewing divorce options beyond litigation, including collaborative divorce and mediation solutions.Divorce can be a difficult and stressful process. Steve understands the emotional dynamics involved, and his experience enables him to handle all of the legal details so that you can focus on rebuilding your life. Steve’s unique blend of compassion, integrity and assertiveness combine to create an effective family law, and personal injury attorney who has gained the respect of clients, lawyers, and judges. His approach is to obtain the best possible results for his clients. We are proud to service the Inland Empire, including Adelanto, Angelus Oaks, Apple Valley, Azusa, Banning, Barstow, Beaumont, Big Bear Lake, Bloomington, Blythe, Calimesa, Canyon Lake, Cathedral City, Chino, Chino Hills, Claremont, Coachella, Colton, Corona, Covina, Crafton, Crestline, Desert Hot Springs, Diamond Bar, Fontana, Glendora, Grand Terrace, Hemet, Hesperia, Highland, Indian Wells, Indio, Joshua Tree, Lake Arrowhead, Lake Elsinore, La Quinta, La Verne, Loma Linda, Lucerne Valley, Mentone, Montclair, Moreno Valley, Murrieta, Needles, Norco, Ontario, Palm Desert, Palm Springs, Perris, Pomona, Rancho Cucamonga, Rancho Mirage, Redlands, Riverside, Running Springs, San Bernardino, San Dimas, San Jacinto, Temcula, Twentynine Palms, Upland, Victorville, Walnut, West Covina, Wildomar, Wrightwood, Yucaipa, and Yucca Valley. At our firm, every individual person is important to us; you are not just a client with a case number. Steven J Brown offers you personal attention and a deep pool of resources when handling your personal injury or family law-divorce matter. At your initial consultation, you meet directly with Steven J Brown, not with a paralegal or an associate attorney. We listen to you and answer all your questions about the legal process. We identify your goals and develop a strategy that matches your personal and financial needs. When we take on your case, we investigate your personal injury or divorce and gather all the required information. We have experience and excellent reputations dealing with insurance companies and other attorneys. We work to negotiate a settlement. If we are unable to reach a settlement, we have the knowledge, expertise and resources to litigate your case and take your case to trial.